In a 1978 review for The Washington Post, Colman McCarthy branded Paul Hanly Furfey “a goader, fire-breather and renegade”—all of which he meant as the highest praise. Furfey, then 80, had quickened McCarthy’s conscience with a stinging indictment of moderate liberal “phonies,” whose hearts skip a beat at the prospect of humanitarian heroism in remote locales but remain willfully ignorant of the material suffering in their own midst. Furfey (1896-1992) was a priest, sociologist and urban revolutionary theorist. Catherine de Hueck Doherty included him in her trinity of “pioneers in the radical Catholic movement,” along with herself and Dorothy Day. In Paul Hanly Furfey: Priest, Scientist, Social Reformer, Nicholas Rademacher paints a vivid and detailed portrait of this “supernatural sociologist,” who blended scientific inquiry into human suffering with a clarion call to conversion and holiness. Throughout Paul Hanly Furfey's career, he consistently argued for the integration of social sciences into Catholic ministry, as he did for the priority of the supernatural as the source—and final end—of real justice. One of Rademacher’s gifts is his capacity to demonstrate how this aspect of Furfey’s civic engagement was deeply intertwined with his academic labor. Rademacher traces Furfey’s development through stages of life that Furfey designated as liberal, radical and revolutionary. Furfey counselled Catholic conscientious objectors, gave retreats to anarchists, composed reams of print both academic and pastoral, co-founded social service apostolates and taught scores of students at The Catholic University of America during his three decades on the job. Throughout his career, he consistently argued for the integration of social sciences into Catholic ministry, as he did for the priority of the supernatural as the source—and final end—of real justice. This is a book that should have been written long ago, and students of U.S. church history and social justice would do well to appreciate Rademacher’s important contribution to filling out this gap in our collective memory. This article also appeared in print, under the headline "Liberal, radical, revolutionary ," in the August 20, 2018 issue. 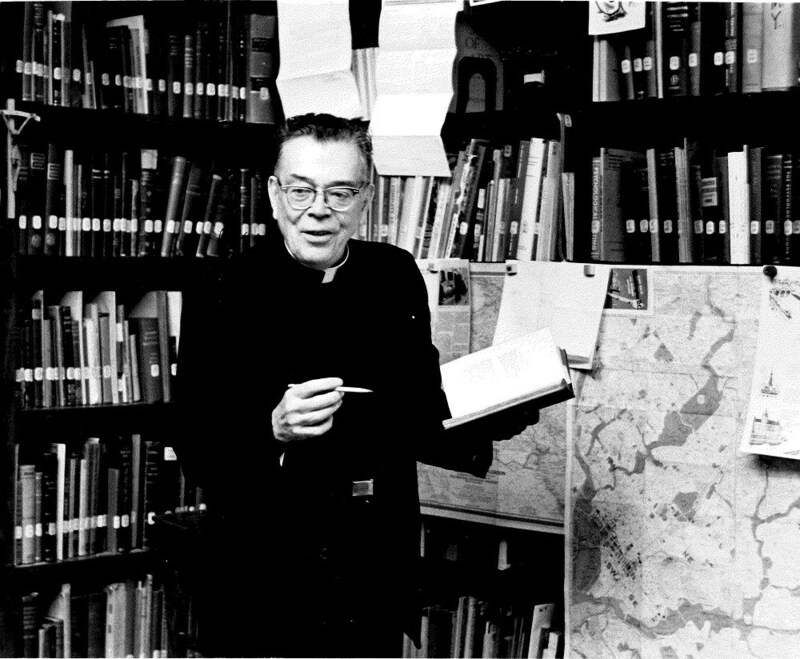 Jack Downey is the author of The Bread of the Strong: Lacouturisme and the Folly of the Cross, 1910-1985.